Curb Appeal, Front Porch Style! If you’re looking for a few, easy things to do to increase your curb appeal before you go on the market or to jazz up some new photos if you’ve been trying to sell for awhile, adding a few simple touches to your front porch or deck is a great place to start. You can begin to show off your home before the Buyers even open the front door. And there are some really easy things that you can do this weekend! You don’t need to be fancy, just a few simple touches will work. 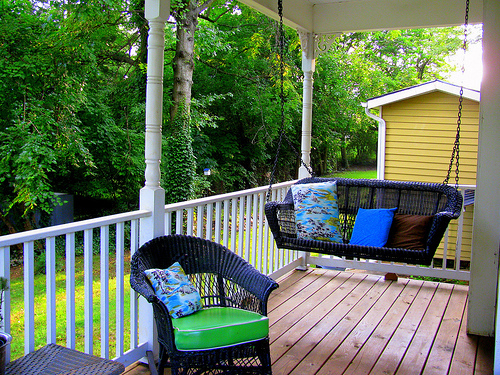 And don’t try to change your style, keep the front porch (or deck) just an exterior version of your interior style. Light and breezy inside? Don’t try to be dark and heavy outside! Start by just painting your front door. A fresh coat of paint will never hurt you, as long as it’s a color that will appeal to most Buyers ~ your favorite fushia may not be the right color for this project! Add as much lighting as you can, ~ don’t forget that Buyers tend to drive by homes they are interested in at night checking out the neighborhood! Add some comfortable furniture ~ let the Buyers stop and sit before they leave to get a feel for the home and surroundings. You get the picture, right? And a picture is what we are trying to create here, that this is a home not just a house, both inside and out! 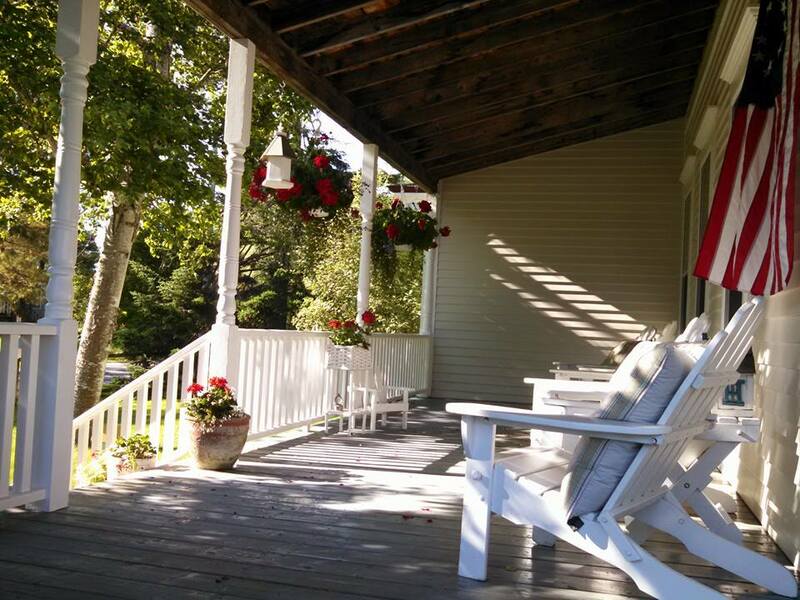 ← More than Lighthouses and Lobsters…in Midcoast Maine!